Most of us want to save money and we find all possible means just to avoid spending that extra penny. However, when it comes to your home security, you should not settle for less. Remember that your life is valuable and you should not trade it for a low-quality security system. You may be celebrating now because you saved a tonne by doing your home security yourself. However, you may regret it later when an unwanted circumstance happens and your safety is compromised because your security system is malfunctioning. On the other hand, when you hire a security specialist, the job will be completed efficiently. They know exactly what type of alarm systems you would need and they know exactly where you need them. In the long run, doing your security system yourself will cost you more money. Let us enlighten you by giving you ten reasons why you should not buy a DIY home alarm system. If you’ve got all the time in the world, then go ahead and go DIY on your home alarm system. However, you should note that the task takes more than one step. You would have to dedicate some time reading the whole money and even spend hours on the phone talking to customer service when you do not understand something. Alarm systems are complicated technologies that require much effort and time. You would have to be the one to install the equipment, connect it to the Internet or landline and you would have to troubleshoot any issues. When you purchase a DIY alarm system, you will only get the basic home security kit. On the other hand, when you choose professional security companies to install the system for you, they will offer you with packages that include wireless security, battery back-ups, motion sensors, redundant alerts, fire monitoring and panic buttons, among many others. A wireless security system with the essential add-ons is more efficient especially during a power outage. Since it runs solely on battery power, it will still function even when robbers cut your power lines. If you’re bothered with how plain your DIY security system is, you would have to purchase the add-ons. For instance, if you have several movable windows, you would have to purchase multiple sensors. It goes without saying that you would have to buy each component separately. In the end, you would be paying as much as a professional home security installation would cost. DIY security systems are typically mass produced so that the manufacturers can sell them at a lower price. Needless to say, those security products you find at retailers and online are of poor quality than the items offered by professional home security companies. When you install the home security system yourself, you would also have to teach yourself how to use the equipment. On the other hand, when you choose a professional to install the equipment for you, you can ask them to teach you how to use it. They will even show you all the features and tell you what you have to do in case of emergencies. If you are tech-savvy, this may not be an issue for you. However, if you are someone who feels more comfortable being guided by a professional, then a DIY alarm system is not your best option. When you purchase equipment from security companies and install them yourself, you might pay for more. This is because your equipment won’t be covered by the warranty if you install it incorrectly. Also, the security company won’t guarantee you given that there are mistakes in the installation process.In the future, if you suffer from a fire or a burglary, the security company will simply claim that you installed the system incorrectly. As we’ve mentioned, when you purchase a DIY alarm system, you are mostly on your own. You won’t have a security professional who will come to your home whenever you experience issues with your home security system. There are also some DIY security systems that do not have a customer support to contact when the alarm sounds. When your home security alarms, again, you are on your own and you have to decide what to do next. It is true that there are DIY alarm system manufacturers that offer phone support. However, they only answer basic questions and most of them won’t offer technical support on a regular basis as well as free upgrades on equipment. What’s great about getting a wireless or wired home security system installed by a professional is the fact that you have the option to have your home monitored by authorities. 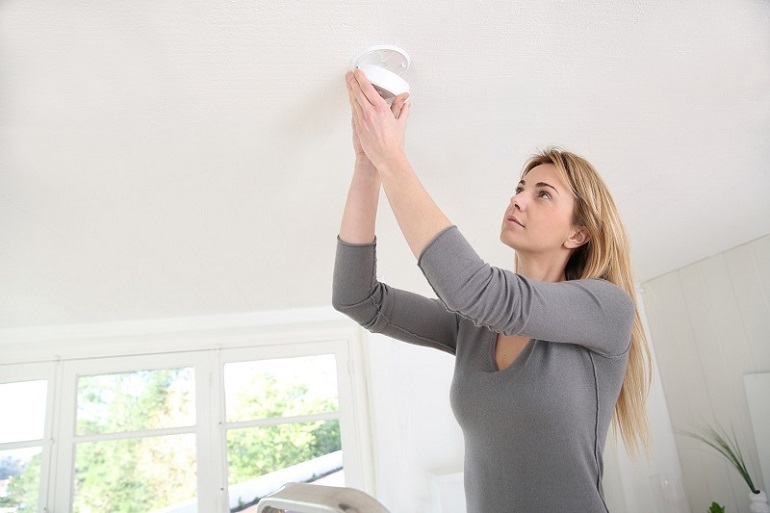 This means that when an emergency happens, the security system will alert the police or fire department right away. The same is not true with DIY home alarm systems. The only thing it does is send you a notification, and the next step is up to you. When you purchase a DIY alarm system, you would have to monitor your own security cameras. Doing this 24/7 on your smartphone, computer or tablet can affect your Internet connection and slow down your bandwidth. Of course, there is a solution to this. You just have to set up a new router. However, if you are not tech-savvy, this task would be complicated for you. When you hire a professional to install the system, you would not have to worry about resolving such issue. One of the problems with a DIY security system is the fact that thieves can easily hack it, turn it off or manipulate it. Several news agencies have published instances wherein this type of technology has been compromised. Crooks use basic software and hardware to get the PIN numbers of DIY security system owners. You should never compromise your safety for saving a few pennies. Keep in mind that your safety and life are more valuable than money. So, always look for options where you can maximise your money and at the same time, secure your peace of mind. Author Bio: Camille Montenegro is a writer at Aus Secure, Australia’s specialists in top-quality security door and windows. She worked as an online video editor before she started her writing career.